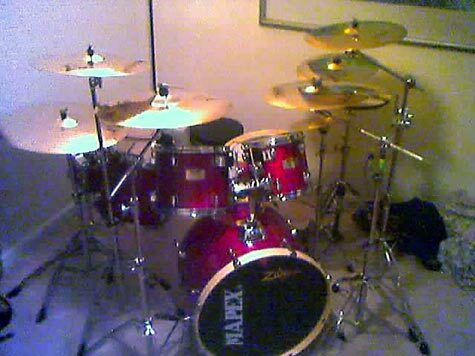 I finally have returned to drumming after 8 years without a kit. 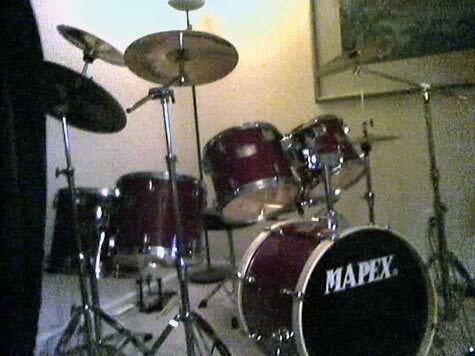 I used to own an 8-piece Tama Imperialstar set but it was stolen along with other band equip. back in 1996. I did exstensive research on what type of mid-line kit I would buy and decided to purchase the 6-piece, Mapex Pro-M studio series kit which has 7 plys of maple and is a great deal for the price I paid ($799)! I have recently sought treatment for my addiction to acquiring more and more Zildjian A Custom cymbals. I now have 12", 14", 15", 2x16", 16" proj., 17", 18", and 19" crashes along with a real nice, 22" heavy K ride. 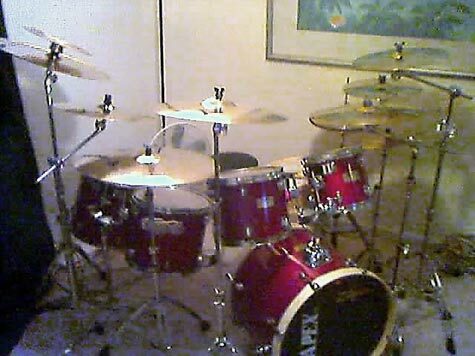 I use a DW all maple hoops and shell snare as I wasn't real pleased with the snare that came with the kit. 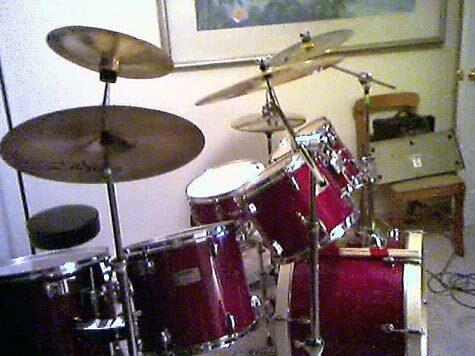 My hi-hats are brilliant Zildjian A New Beats. 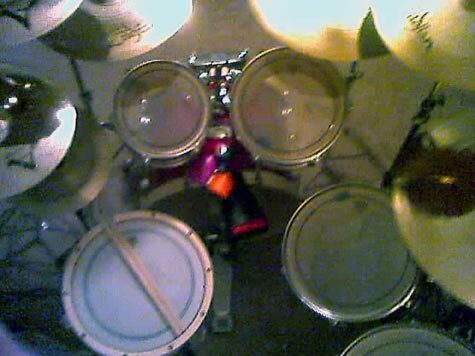 I use Remo pinstripe heads and still have the original bass drum heads on. Thank you for this opportunity to share my kit with the world!